Dario Del Fabro, who made his debut for Leeds United at Sunderland in the FA Cup. Leeds United’s poor run continued into the FA Cup as they crashed out at the third round stage to Premiership Sunderland. 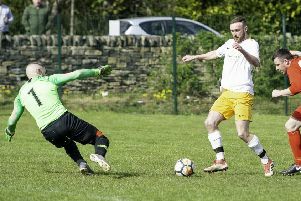 A 1-0 defeat made it six games without a win for Neil Redfearn’s men, although they were not disgraced after the head coach gave several fringe players a run out. Redfearn made seven changes from the previous game at Derby, giving summer signings Dario Del Fabro and Brian Montenegro their first starts. Despite all the changes United started solidly enough and it took Sunderland 12 minutes before they put their first serious attack together with Leeds keeper Marco Silvestri saving low down from Emanuele Giaccherini. But the Whites were rarely a threat and were relieved when Ricardo Alvarez’s shot hit the crossbar after being deflected and they were fortunate again soon after as Stephen Fletcher’s effort went wide after he got on the end of Patrick van Aanholt‘s cross. Sloth cleared off the line to deny Santiago Vergini after he had got his head to a corner, but Sunderland did take the lead in the 33rd minute as van Aanholt beat Silvestri with a low shot into the far bottom corner of the net from the angle of the box after being given only a glimpse of an opening. The hosts remained on top for the rest of the half, but could not add to their lead with United somewhat relieved to be still in the game at the break. Leeds finally carried more of an attacking threat early in the second half with Sunderland keeper Costel Pantilimon having to make his first real save as he denied Adryan after the Brazilian had been put through by Mirco Antenucci. Pantilimon was brought into the action again when pushing away Brian Montenegro’s angled shot and the Whites continued to look better with Rudy Austin firing an effort over and Sloth’s dangerous cross just evading the forwards. At the other end, Silvestri denied Giaccherini and made a superb save to keep out Fletcher’s effort. The United keeper then saved more comfortably from Jordi Gomez’s long range shot. Half-chances at both ends followed with Montenegro firing over for Leeds and Fletcher wide for the hosts. Cooper hit another effort over for Leeds then saw his header from Murphy’s cross hit the woodwork as United tried to put in a big finish. But they could not find an equaliser and are now left to concentrate on their battle to avoid the drop in the Championship. Sunderland: Pantilimon, Vergini, van Aanholt, Coates, O’Shea, Bridcutt, Rodwell (Larsson 37), Gomez, Alvarez (Wickham 45), Giaccherini (Johnson 74), Fletcher. Leeds: Silvestri, Berardi, Cooper, Del Fabro, C Taylor, Austin, Murphy, Sloth, Adryan (Sharp 62), Montenegro (Doukara 84), Antenucci.